I used a reuseable coffee cup, but it didn’t have a protective sleeve to stop my hands burning. I found an old sock, cut off the top and toes and popped it over the cup. 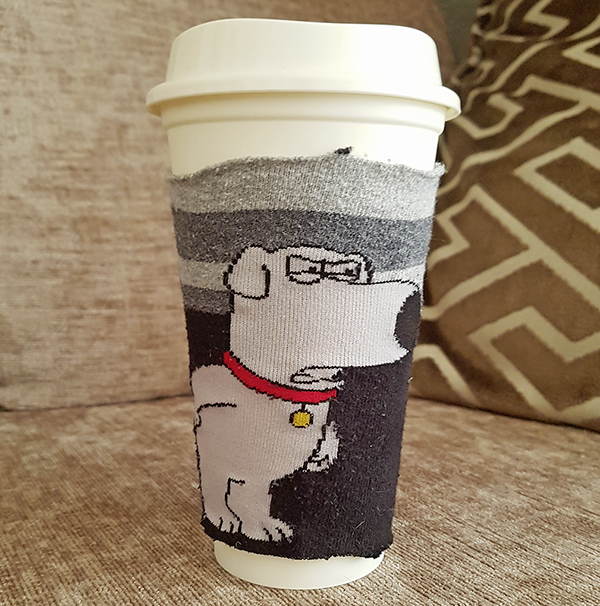 Now, I have a personalised cup sleeve which can be changed for different times of the year.